Looking for affordable advertising options? 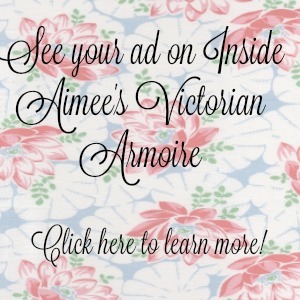 Interested in seeing your blog, shop, or product ad displayed on my blog? 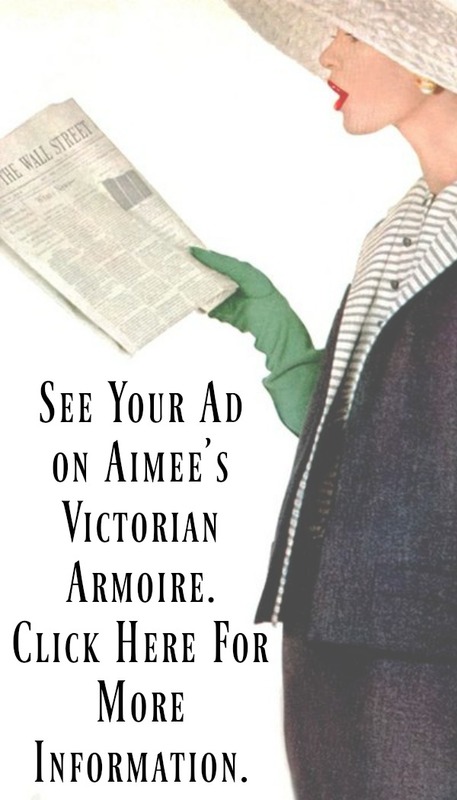 With readers from around the world and topics focusing on fashion, sewing, home decorating, cooking, and beauty, Inside Aimee’s Victorian Armoire could be the perfect place to connect and interact with new readers! To learn more about me and my blog, please visit My Story Page and Press Page. I am also open to product reviews, article writing, or any other wonderful idea you might have for collaboration! Have your own blog or website? Interested in an ad exchange? Contact me to chat! !